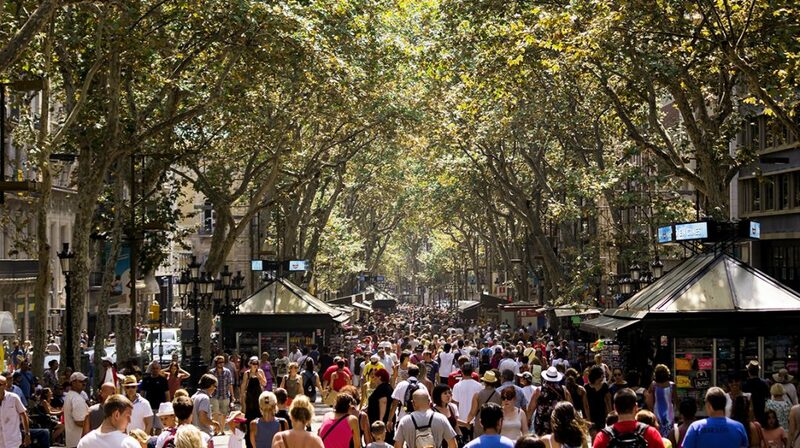 Las Ramblas is divided into 5 sections, each section has their own story to tell. Rambla of Canaletes is located at the top of Las Ramblas beside Cataluña square. 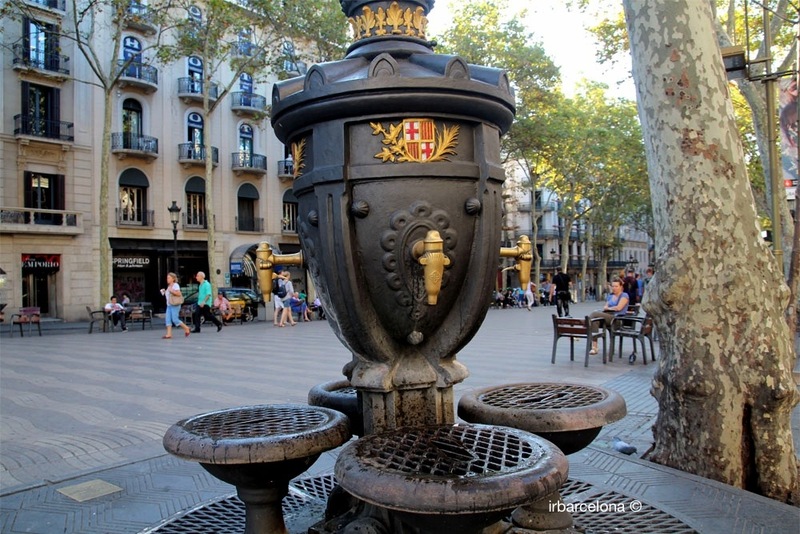 Canalete´sFountain has an emblem, this can be seen as soon as you begin your trip into las Ramblas. Rambla de los estudios, when you travel through this part you will find the Royal Academy of Sciences and Arts recognized as the old General Study or University and also known as the bird´s market. Academic studies took place here many years ago. In 1891 an electric clock was installed which continues to display the official time in Barcelona. 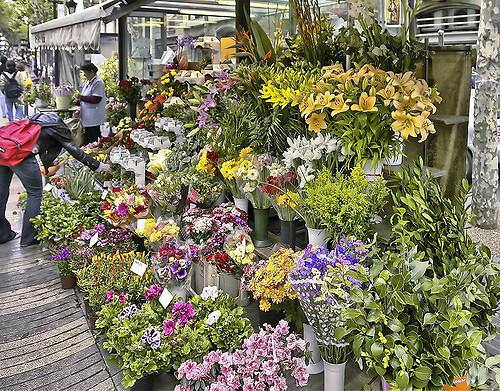 Rambla de las flores, it is filled with vibrant colors and glorious smells which send your sensations into overdrive. 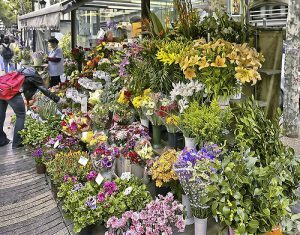 This was the only place in the 19th century in Barcelona which sold flowers and this tradition remains in full force today. 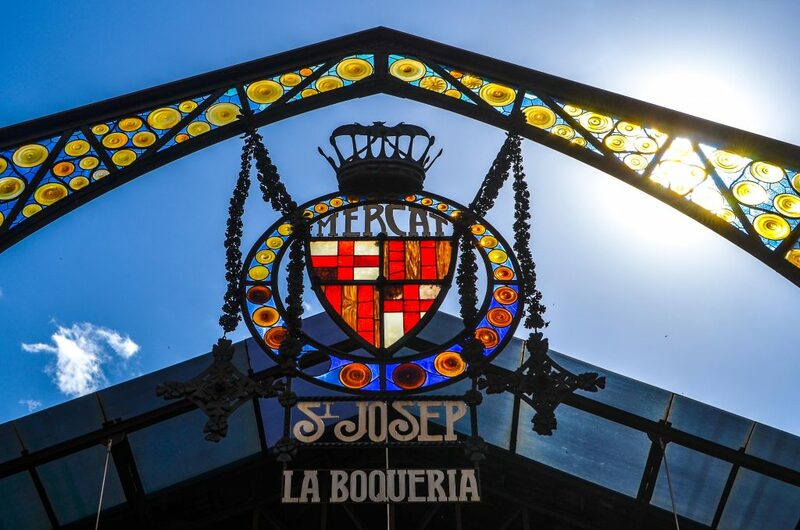 We should to make a stop in Sant Josep´s Market, it is place where we have to look on different kind fresh product. It is colorful market with over 300 little shop, we would say. It is complicated not find a product that we are being looking for. The boqueria market is other obligation tourist point in your Trip to Barcelona. Before to keep going through of Las ramblas, we should mention, two areas very popular in Barcelona. The Gotic & Raval´s streets. 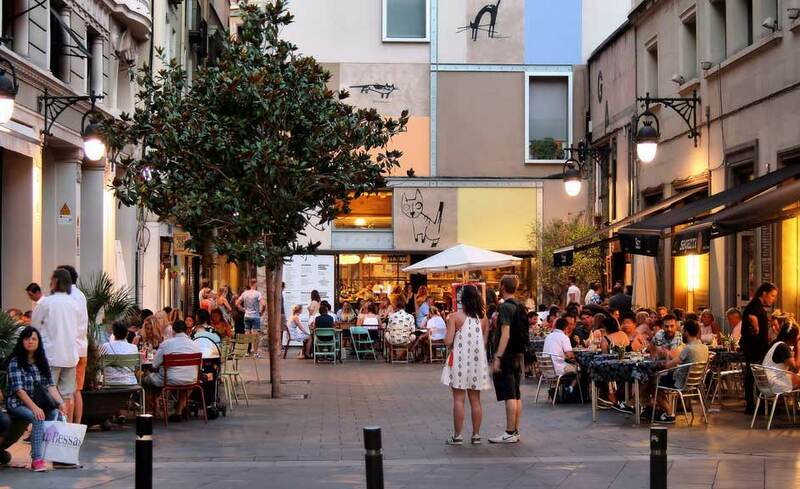 A species of maze with restaurant, shops, hostels in Barcelona to enjoy it. Rambla de los Capuchinos, also knows as center of ramblas. It was given this name for a Monastery of friars. 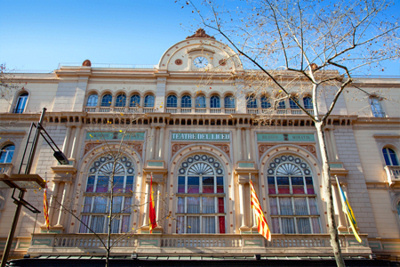 We will find the Grand Theater of the Opera of Barcelona. To finish this travel through of las ramblas, we arrive to Rambla de Santa Mònica, knows for Statue of Colon. It is the begining the walks of Barceloneta. We will arrive to the principal port of Barcelona. Amistat Beach Hostel Barcelona we would like to help you to get to these attractive places in your travel to Barcelona. we have our own guide tour to let you to spend the most amazing experience in Barcelona. We are waiting for you…. 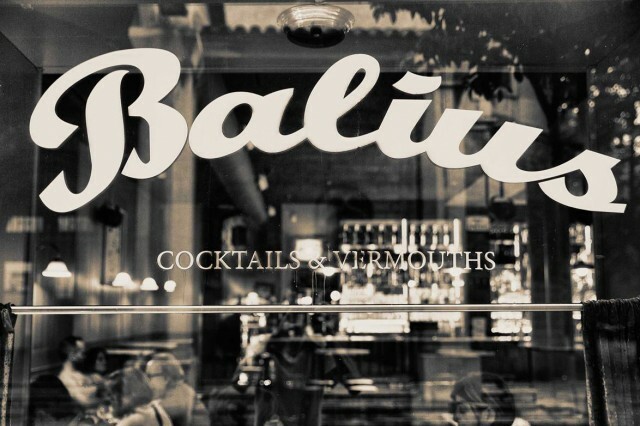 In our trip to Barcelona, we can´t miss to try the classic vermut in the city. The VERMUT is a drink on based in wine and some herbs that it´s used to preserve his flavor. 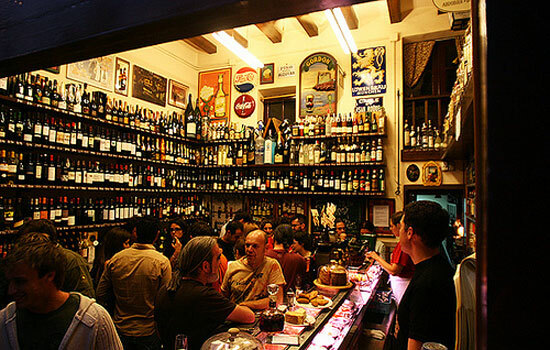 Vermut is a tradition in Barcelona, since many years ago his habitant does it on Sunday´s or over week. They meet with friends in a bar to share this traditional drink. Special place as his customers describe it. Recommended to ask for Beer and Vermut Menu and combinaded with ecologic snack of chicken and avocado. TARANNA is characterized by offering an excelent service and high attention for his costumers. It´s impossible not trying to visit TARANNA while you enjoy your accommodation in Barcelona. Located in Sant Antoni, Barcelona. On Christmas time there is plenty of things to do and see in Barcelona as Christmas fairs, Christmas markets, concerts, circus, nativitiy scenes and fun-fairs for the children among the many festive things to do for families and children. Barcelona is also a perfect place for Christmas shopping, mostly of the shops are open 7 days per week. In Spain, as in Barcelona, we celebrate Christmas Day on 25th of December (El dia de Nadal / El día de Navidad) with a big Christmas lunch, but also there are some more celebrations on the 5t of January, when the Three Kings (Tres Reis Mags) arrive with presents for the children. Plaza Catalonia hosts a Christmas festival with many family activities and shows to celebrate Christmas from 17th December to 4th January 2017. The Plaza Catalunya fair also features a Responsible Consumption Market and a big mechanical ballet dancer to annouce activities. Barcelona has many classical, gospel and ballet Christmas concerts in December including wonderful performances at the Basílica de Santa María del Mar. You can check also other concerts checking out the websites of the concert venues Palau de la Musica and Liceu Opera House. 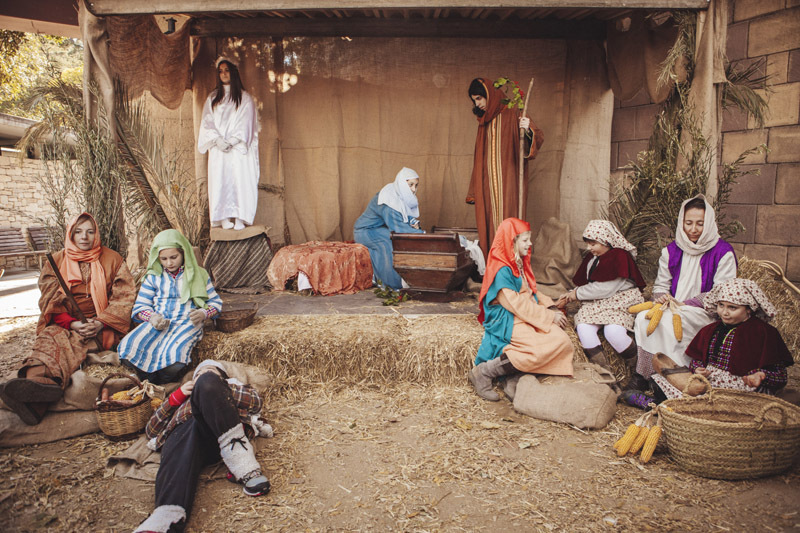 From December 23rd to January 5th – from 11am to 6pm – in Poble Espanyol you will find a traditional Spanish Christmas atmosphere offering activities for the whole family. Find handmade gifts at the many handicraft workshops. An authentic local experience. You can get there walking from Plaza Espanya. TheMontjuic Magic Fountain is part of the Barcelona Christmas lights with a special free Christmas water and music show in December between 19:00 and 21:00 on Fridays and Saturdays. There is a big tree on Plaça de Sant Jaume , where there is main nativity scene which is called “pessebre” in the Catalan language. Also there is a big Chritmas tree in Portal del Ángel near Plaça Catalunya. This 2016 Barcelona has offered great concerts and performances as Beyoncé, The Cure, Justin Bieber, Coldplay amongst others. Next 2017 is gonna be plenty of big concerts, so don’t lose time and start to plan you trip to Barcelona. No worries many music festival will take place during the year as Primavea Sound, Sonar, Beach Festival. Barcelona is vibrant city. Start planning your holidays to Barcelona. Enjoy the amazing beaches, the perfect weather, the amazing food and the smiling food. What else? Stay in Amistat Beach Hostel Barcelona, discover the fantastic experience that you can have staying with us. Feel like a local, be a local! Amistat Beach Hostel is in a very local neighbourhood that gives you the opportunity to have a real contact with the local culture instead of being in the city centre. In our hostel in Barcelona you will have a exciting and relaxing time, just 3 min away from the beach it’s the ideal spot. Amistat Beach Hostel Barcelona is surrounded by local restaurants and markets. ¡Be a local, come to Amistat Beach Hostel! Don’t forget us planning your trip as we are the beach hostel in Barcelona! Amistat Beach Hostel is not just a hostel! Here you are trying to decide where to sleep in your next trip to Barcelona. Maybe deciding between being in a massive touristic area, or in a more local area? 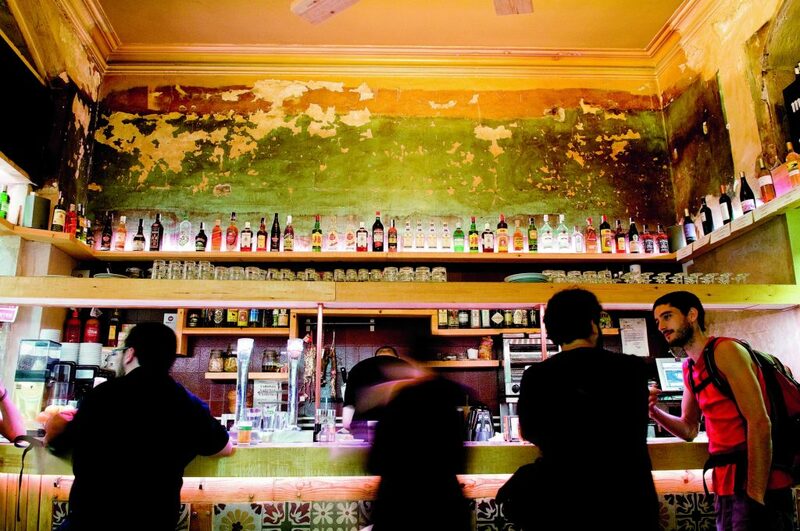 If you answer is the second one, here is your best choice: Amistat Beach Hostel Barcelona. Amistat Beach Hostel is located in Poblenou neighbourhood. This fantastic neighbourhood, before the 1992 Olympics, had the atmosphere and appearance of an almost abandoned industrial zone. With the reforms of the city, the neighbourhood was full of life: restaurants, bars and all kinds of tourist attractions now adhere to its lively beaches. Since the Olympic Games, this area is constantly changing and growing, becoming one of the most active and dynamic neighbourhoods of the city. Designers, bohemians, gypsters, locals, tourists enjoy this lively place. Planning your trip to Barcelona will be easy if you just book with us and plan your daily schedule regarding the activities that we offer you. In morning time, we offer you Free walking tours. This tours are managed by very good guides that will introduce you the best places and tell you the most important things about this places starting from Gotic square. You can have this tours in different times a day: 10 am, 11 am and 2 pm. Also you can add some bike tours asking at our reception desk or just to rent a bike and lose yourself pedalling along the beach promenade. On the afternoon after a day walking all day around we invite you to relax a bit in our common area and join our community dinner. Meeting new people and enjoying a typical Spanish meal it’s an authentic plan! After dinner join our night tour. Since you just had a day tour you need to know how is the night out during your trip in Barcelona. Get drunk, dance, meet people, have FUN. Travel to Barcelona, you will have such a big fun! Stay in Amistat Beach Hostel and get a bunch of new cool friends! Where to party in Barcelona! Nightlife in Barcelona is amazing. Rock, metal, disco, salsa, techno… you can find all the music styles in the city but not worries about your pocket! Barcelona night life is affordable! 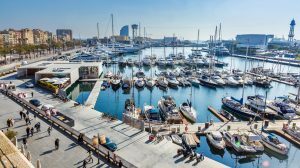 Barceloneta and the Olympic Village: This is the most popular and attractive area of Barcelona for tourists visiting the city. Olympic Port nightclubs have terraces on the beach. The most famous clubs in this area are Shoko, Opium, Pacha and Bestial. Aribau area: This area is located near Paseo de Gracia and starting in Aribau street. It is the most exclusive area of Barcelona for nightlife and also for living. 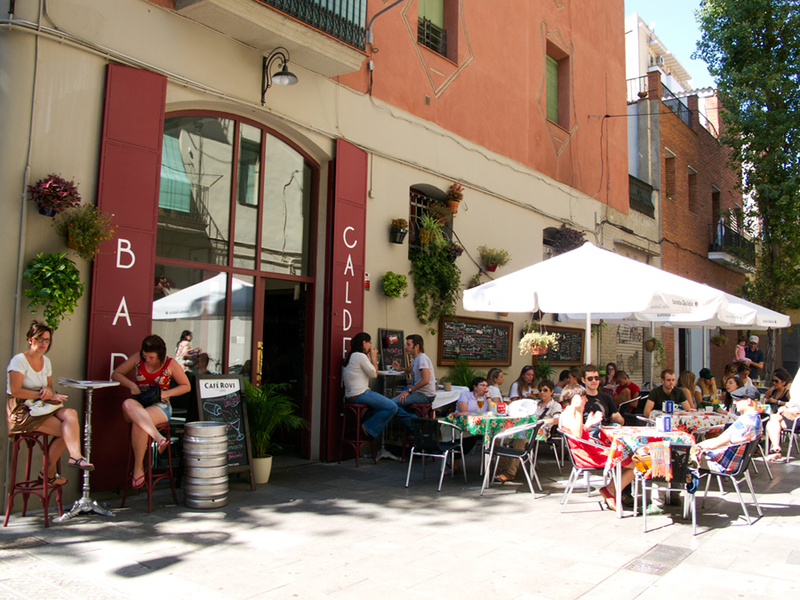 Here you will find bars, discos and good restaurants and very popular with locals. Here the most famous clubs are Sutton, Costa Breve,..etc. 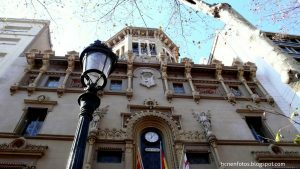 Eixample: This is the largest and most central district of Barcelona and here are the streets and squares of the city known as the Paseo de Gracia, the Rambla de Catalunya, Plaza Catalunya and the Gran Via de les Corts Catalanes. 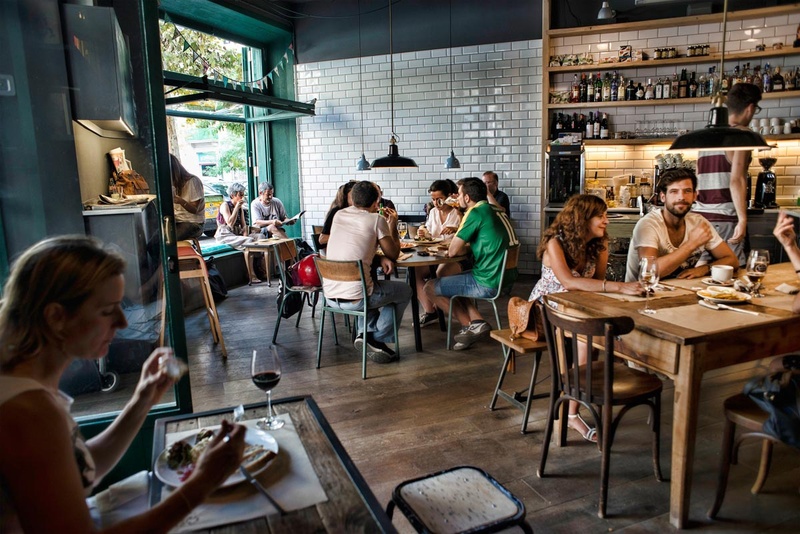 For its bars and restaurants, it is ideal for drinks and tapas. Here you can find CITY HALL club. Borne Quarter: Between Gotic quarter and Barceloneta you can find small chic night bars and some sofisticated clubs as Mix. Gotic Quarter: In this narrow streets you can find interesting and genuine bars that offer cheap drinks as bar Manchester, Nevermind. But if you feel like you don’t want to hang out alone, I will recommend you to join our Night Tour. You will meet new friends, a couple of free shots and cheap entry ticket to the best clubs in Barcelona city. Welcome to trendiest city in Europe! Barcelona is the city of design. The city also happens to have the highest concentration of design schools in Europe, relatively small and expensive, whose success draws on the legacy. Walking around the city you can find different styles of architecture and design from old times, to modernism and contemporary. Gaudí’s influence is very visible although Barcelona has got other important architects. Gaudí used his imagination and colours. Gaudí was particularly influenced by natural forms. Most of his buildings are based on naturally occurring organic shapes. Bold, colourful, different, harmonious, bright and unique are just a few adjectives that come to mind when describing Barcelona architecture and design. Barcelona has successfully blended the old city and the new in a way that makes this city simply breathtakingly beautiful. There is nothing more enjoyable than walking around the streets of Barcelona and taking in the atmosphere that radiates out from the architecture and design. Traditional Catalan Gothic architecture such as the Iglesia de Pi church is reserved and stoic in its design, but just a short walking away we have the Barcelona Cathedral with is beautiful arches and façade crowded always by tourist and locals. A short metro ride we have the famous Sagrada familia Basilica which towers into the sky and has different architectural styles on all four sides of the building, this is a must! Also there are some other building and constructions apart of Casa Batlló, Casa de la Pedrera and Parc Guell that you can visit as: Herzog & de Meuron’s Forum Building (Forum), Mercat de Santa Caterina (Borne), Richard Meier’s Museum of Contemporary Art, Santiago Calatrava’s Olympic Flame,Etc. For sure you will not get bored walking around. Also you can ask for our free walking tours. If you are staying in our hostel in Barcelona, you just need to ask to our reception desk. Greetings from Amistat Beach Hostel Barcelona! If you are a new hostel user or you have been traveling thousands times using hostels as accommodation, we invite you to read this post about types of people that you might find in a hostel. Don’t think or assume people will be like a friendly standard traveller who wants to have a great time without messing around! After few years of experience we have notice a few types of people, didn’t you? The smelly guy that just brought two changes clothes: Sometimes you might have asked for a room change because the guy sleeping next to your bunk bed smells like hell. It’s the one that doesn’t care for material things and like to travel light of luggage. Not worries, here in our hostel in Barcelona we have a laundry machine to wash dirty and smelly clothes! 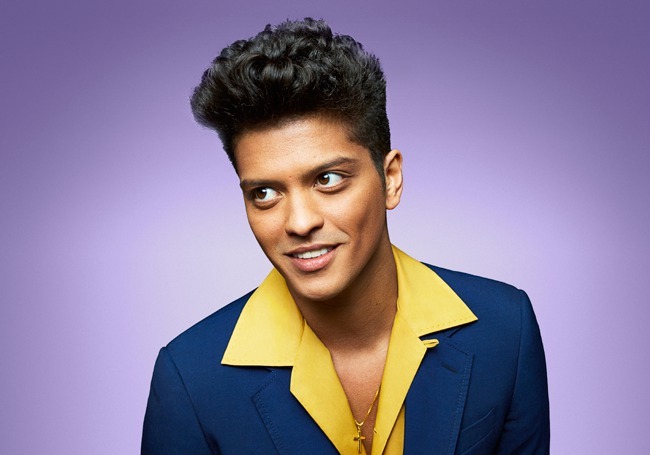 The guy who is 38 years old and it’s pretending that is 24: Every hostel has one dude who’s a little too old to be acting like a dude but he doesn’t really care what you think because he’s never going to see you again anyway. Stag and hens: that’s are the more noisy, they want to make sure that you know that someone of their group is getting married!! All guests have to know, all locals have to know, everybody in the city has to know. But we love them! Long stay guy: that’s the one who knows all the staff in the hostel, and all the neighbourhood. The one that already feels the hostel is his first home! In our hostel in Barcelona normally in low season we have people that feels so comfortable and extend their stay for many days! This is just a few examples of kind of people that you might find in a hostel but there are much more!! Come to discover them… you will have an amazing time! Help us to finish this list! These are the TOP 10 attractions in Barcelona. Don’t miss any of them. Some are located very close to our hostel in Barcelona. This is Barcelona’s most famous and probably the busiest street in the city. 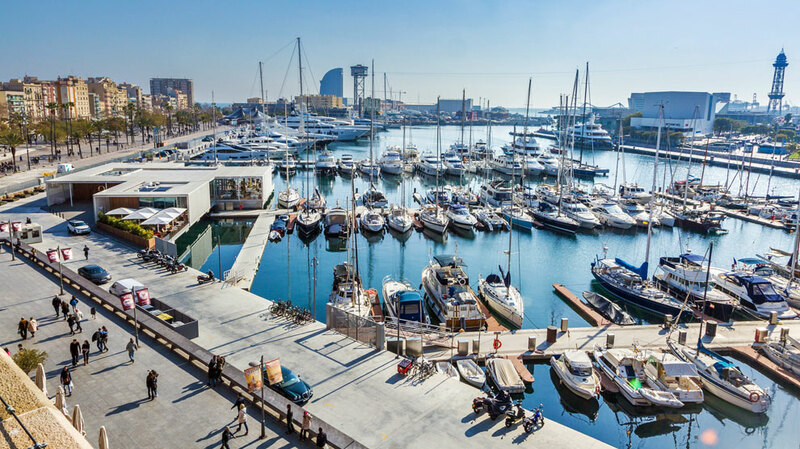 It starts at Plaza Catalunya and ends at the Monument of Columbus at the Port Vell harbour of Barcelona. La Sagrada Familia designed by Antoni Gaudi is the most famous attraction of Barcelona. The interior of Sagrada Familia is amazing, the most original and colorful church. The Magic fountain was built in 1929 as one of the main attractions for the Barcelona World Fair and the Font Magica is still one of the most famous spots in Barcelona with an estimated 2.5 million visitors annually. The shows take place Friday and Saturday from 7pm to 9pm in winter and in summer thursday to Sunday (show every 30 mins from 9pm to 11.30pm). Parc Guell is a UNESCO World Heritage Site and is considered to one of Gaudi’s most artistic works. Tickets are: €7 You can make some amazing picture of Barcelona. Montjuic has many parks and attractions including an old fort at the very top called Montjuic Castle, which has a rich and dark history and fantastic views of BarcelonA. Poble Espanyol de Barcelona located in Montjuic is a representation of Spanish Village of Barcelona. A visit to Tibadabo is a fun thing to do in Barcelona and great for kids. The views of Barcelona are fantastic and there is a small and fun vintage amusement park at the top, which is open in the summer from March to September. The Gothic quarter is the medieval city of Barcelona from the middle ages. Plenty of narrow and interesting streets. The Picasso Museum is in the Born area of Barcelona and it is probably Barcelona’s most famous museum. You can delighted with Picasso paintings. From our hostel in Barcelona you can access all the beaches of Barcelona and most closest ones are Bogatell beach and Marbella beach. Coming to Barcelona with your friends? If you are thinking about coming to Barcelona with a group of music, sports or just a group from school or your friends, its a no brainer! Come and stay with us in our hostel in Barcelona. Super confortable and very modern design that will make you have a great experience. Bathrooms, showers, terrace, chillout area, laundry and kitchen. Including free breakfast, wifi, Wii, TV, free city tours and more. apart from the private rooms for 2 people. These include heating, air conditioning, electronic lockers and supercomfortable beds.We are located 3 minutes away from the beach of Barcelona in the Poble Nou neighborhood. So you can enjoy two of the best beaches in Barcelona: Bogatell beach and Marbella beach. We are the best beach hostel in Barcelona! Reception is open 24 hours to offer the best service whenever you need it.And besides all this, if you choose to come in a group, you will have special prices and offers, you can count on excursions and tours, tikets museums and organization for private events.Go for it, ask us anything you want clicking on this link. Our hostel in Barcelona accomodates many groups during all year around we offer a very good deals but if you really want to have a very good prices come on winter or autumn, you know, in Barcelona always there is a good weather!